Oprah Winfrey felt that former vice presidential nominee Sarah Palin was snubbing her. 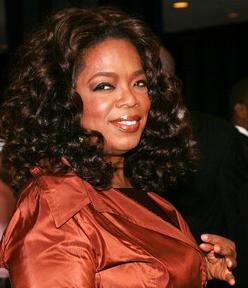 Oprah Winfrey’s book club propels novels onto bestselling lists. Oprah Winfrey also revealed the one thing she had to rescue from her Santa Barbara, California home when it was threatened by wildfires last month: her book of letters from Alicia Keys, Mariah Carey and all the young women who attended her 2006 Legends Ball.